It’s been over a month since the Fifa World Cup ended in Rio de Janeiro. Todd Entner is a friend whom I’ve known since our late 1980s tennis-playing days at the Cebu Tennis Club. He’s American but was born in Manila and lived here for 13 years. Now back in the U.S., he visited Brasil last month with his son Josiah. It wasn’t Todd’s first WC watch; he’s been to the last four WC Finals. Plus, he’s watched Wimbledon and the U.S. Open and — take this, sports fans — he’s been to the last five Olympics! 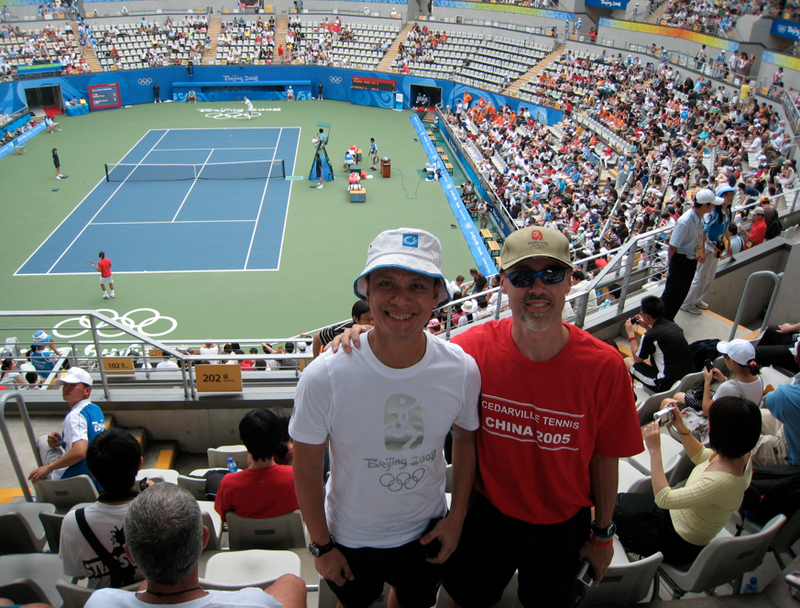 When Jasmin and I visited Beijing in 2008, guess who hosted us for China’s first Games? Mr. Entner. “My first World Cup experience was in 1990, listening to the Final by radio in Malaybalay, Bukidnon, holding the antenna to get better reception as Germany defeated Maradona for the trophy. In 1994 in America during college, I watched on TV as the hosts USA narrowly lost to Brasil in the 2nd round. France in 1998 was also just a TV spectacle for me, but in 2002 in South Korea I was able to see several games in person, followed by another experience in Germany four years later. “After that I was hooked, and so in 2010 my (then 7-year-old) son Josiah and I flew down to South Africa for the first major event on the continent. This year we knew Brasil was a must-see, so we used frequent flier miles to fly down for 2 weeks. Landing in Sao Paulo, we took buses around the country, visiting 4 cities and seeing 3 games. A massive country (5th largest in the world in area and population), Brasil is a beautiful land, reminding us of a mix of the Philippines and America – rolling mountains covered with jungle, lovely beaches, and good highways. 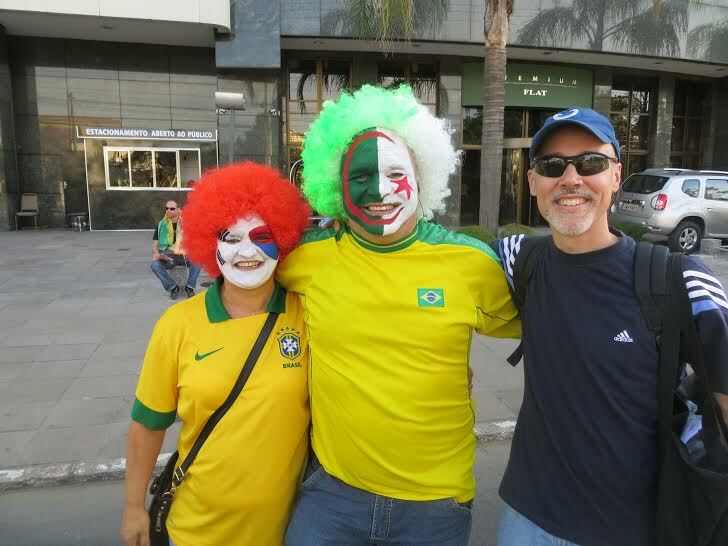 “A largely Christian people, Brasilians are very hospitable (we never needed to spend a night in a hotel), generous and friendly – some of the local fans even gave ‘free hugs’ – and the food is fantastic – flame-roasted barbecue skewers loaded with chicken and beef. Though it was winter, the weather was excellent, mostly sunny and cool, with scattered rain and sunshine. The infamous crime does exist (my camera and our Australian friend’s wallet were stolen), the joy of the crowds and the great competition made up for the difficulties. Todd’s next stop? Back to Rio for the 2016 Olympics.